The Snipe fleet at ISC is very proud to be one of the truly world class fleets sailed at our club. The unique qualities of this boat are defined by a well organized structure and strong membership throughout all major countries. Indeed the best sailors in the world have usually competed in the Snipe class at some point. Why is this so? It is because the Snipe is back to basics dinghy sailing. 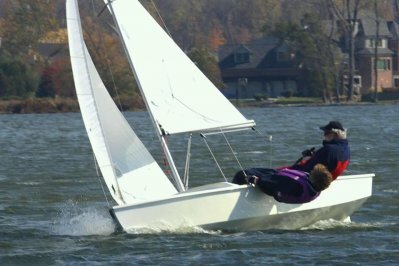 The Snipe is a two-person racing dinghy, making father-daughter, father-son, husband-wife teams so popular in this class. In fact the Snipe is one of few classes that strongly encourages junior sailing and woman sailing so much so that the Junior Worlds are just a breeding ground for future Olympians and champions in other classes as well. At the local level here at Geist we are very interested in making good sailors better sailors. We help new sailors into the fleet easily with good inexpensive boats from the used market and show them how to use them. We will have 3 mini regattas with Sunfish and Lasers which promotes sportsmanship, racing skills, eats and a ton of fun. The Snipe circuit is plenty active for those who want to venture around the region or nation. The over 45's can do the Masters. The under 20's can do the Juniors. Women's teams are competitive as well. The Snipe packs power and action into its hefty 381 lb. 15 foot frame. It gets you close to the water. You've got some great people to sail with and learn from. 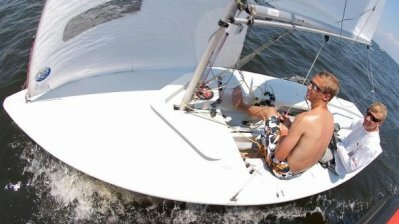 Hey, isn't this what sailing is all about anyway? Join in!